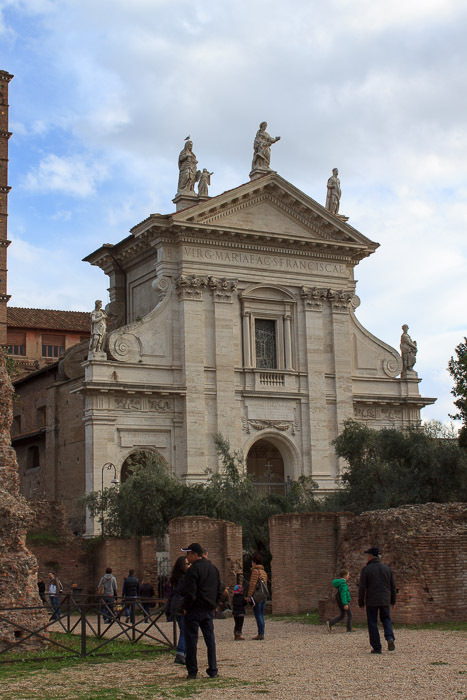 Santa Francesca Romana was built into the portico of the western side of the Temple of Venus and Rome during the second half of the 10th century. The confessional was designed by Gian Lorenzo Bernini (1638-49), in polychrome marbles with four columns veneered in jasper. Saint Francesca Romana is the patron saint of car drivers, and on March 9th, her feast day, cars and taxis approach as close as they can to the church to receive her blessing. Santa Francesca Romana's skeleton is in the crypt of the church. 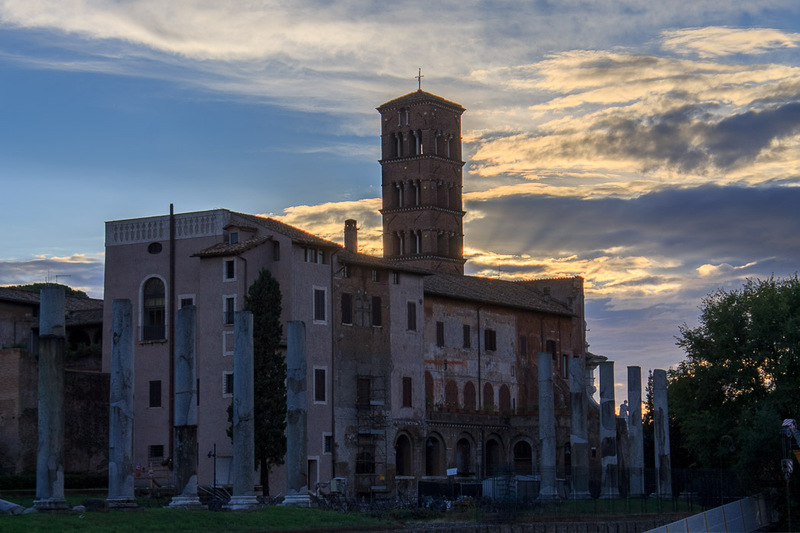 Access to the church is not through the Roman Forum, but rather, via the Clivo di Venere Felice, a ramp from the western end of the Colosseum, or from the pedestrian stairs from Via dei Fori Imperiali just east of the Basilica of Maxentius. The stairway is currently closed due to construction of Metro Linea C.
See all Santa Francesca Romana photos.